One of the new patterns called Twice as Nice...Plus More is what I'm working on now. 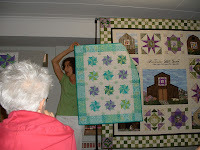 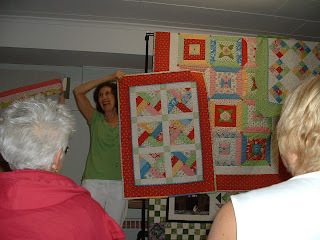 You make 3 different size quilts out of a jelly roll. 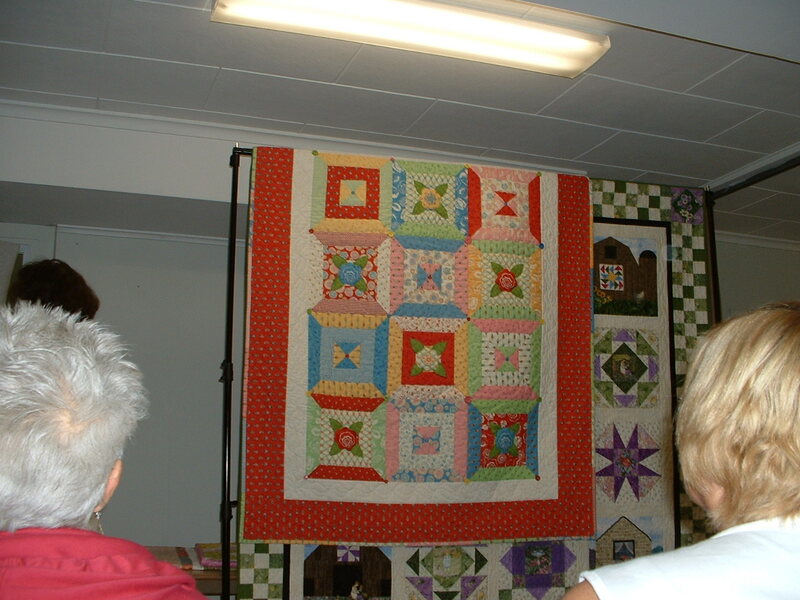 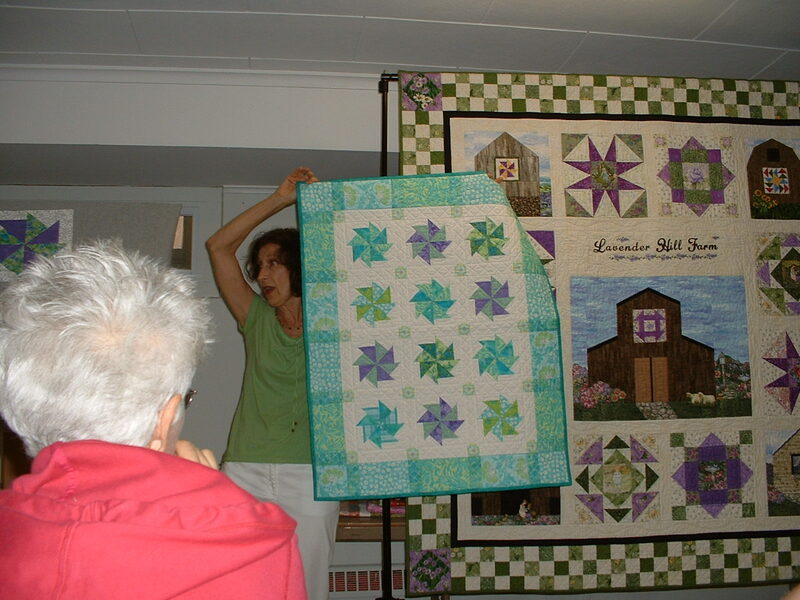 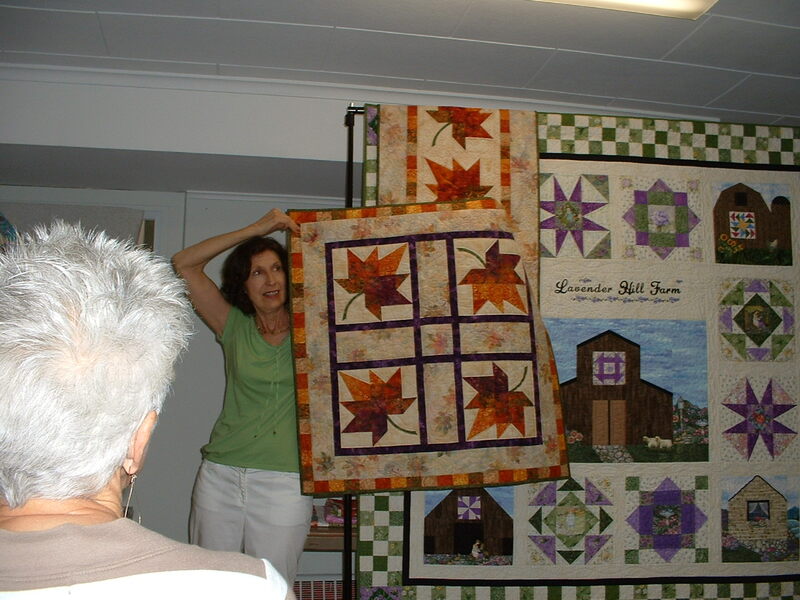 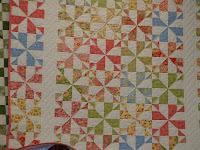 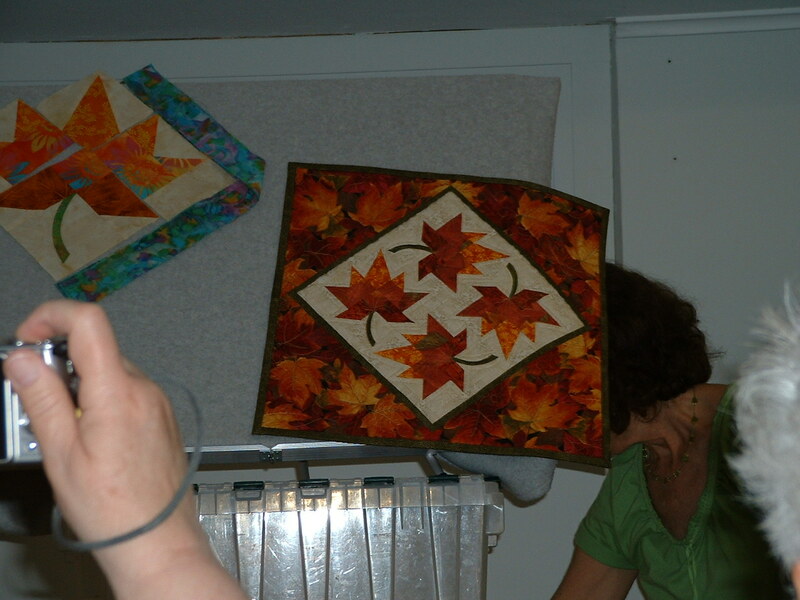 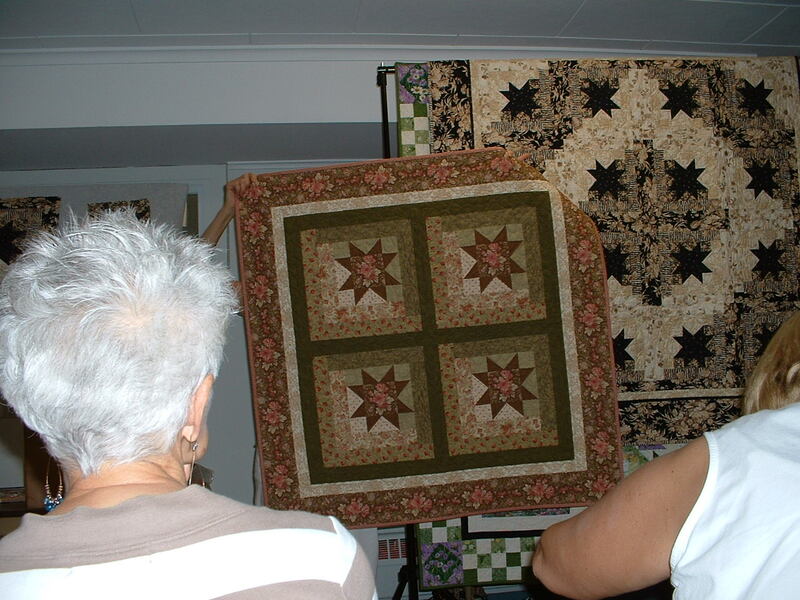 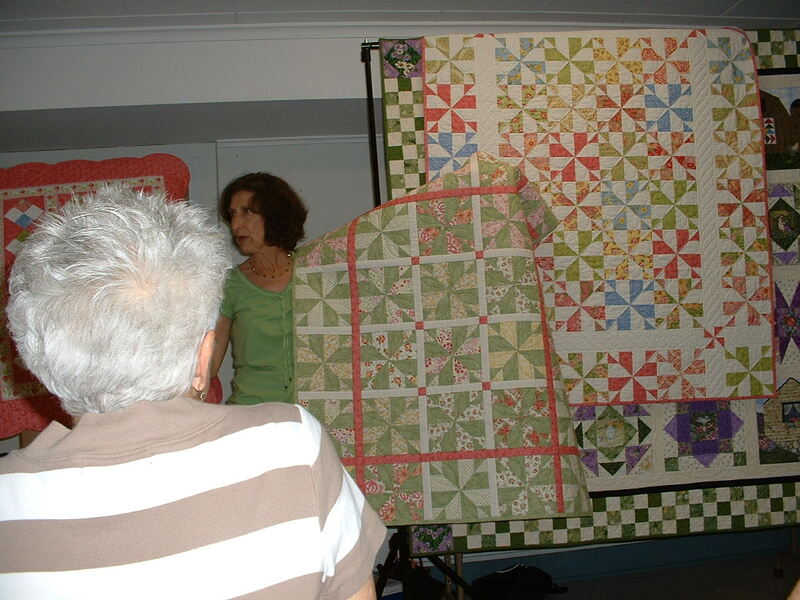 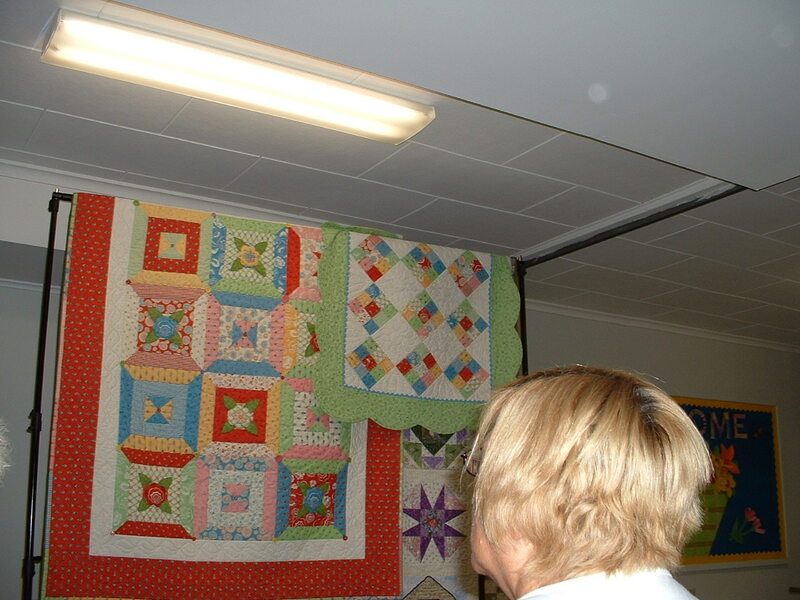 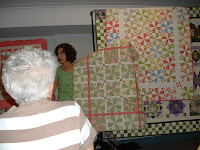 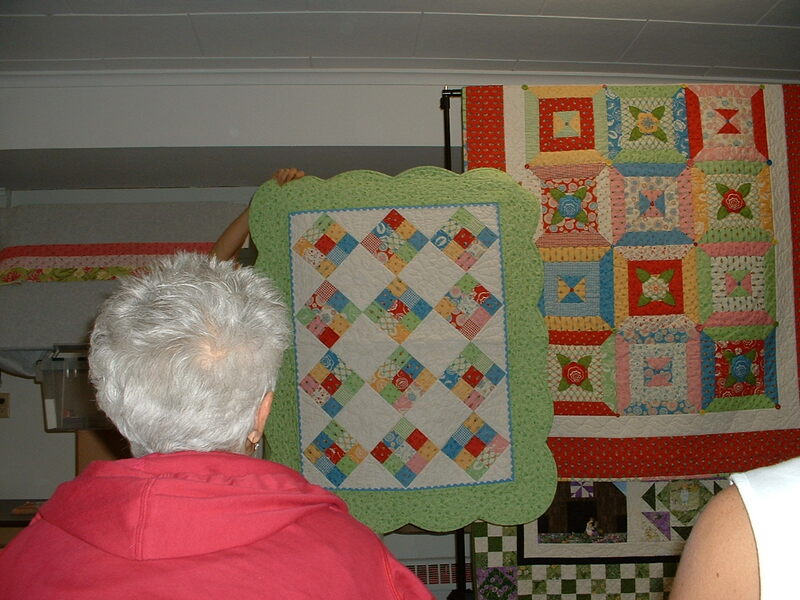 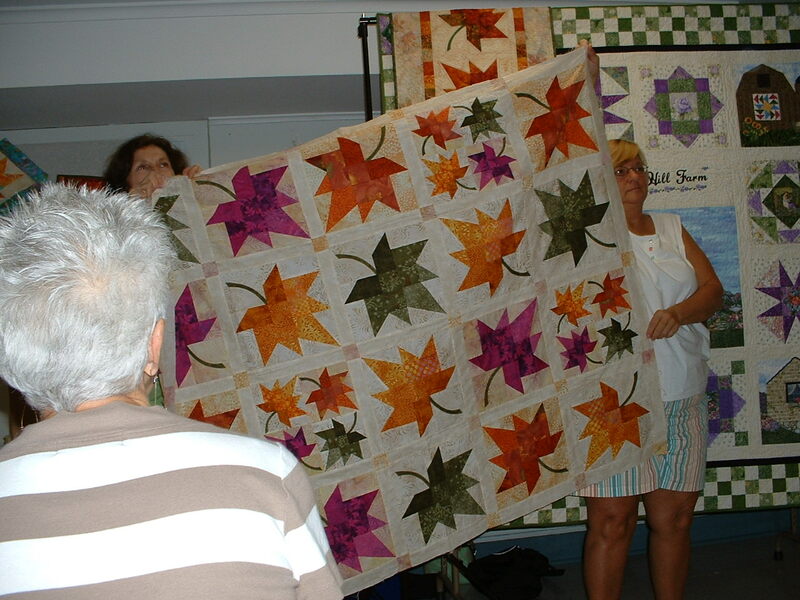 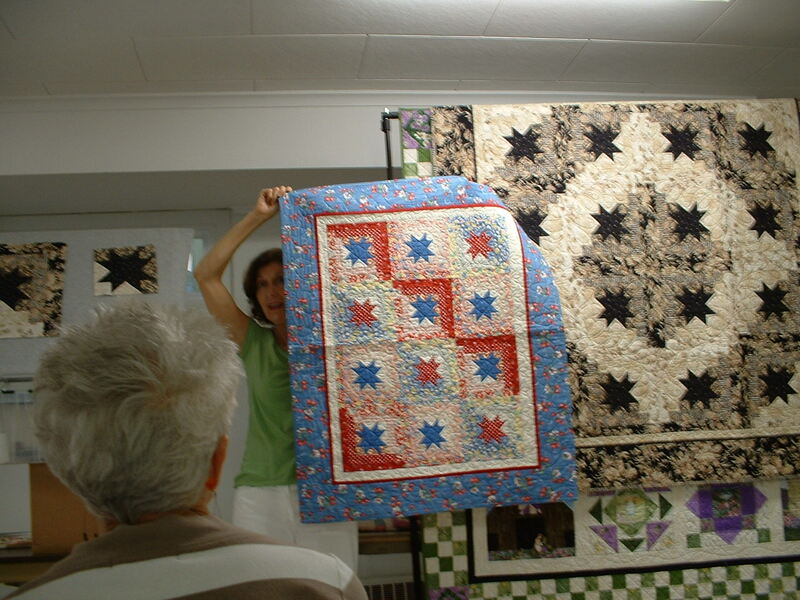 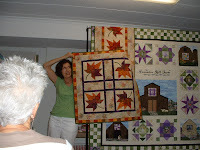 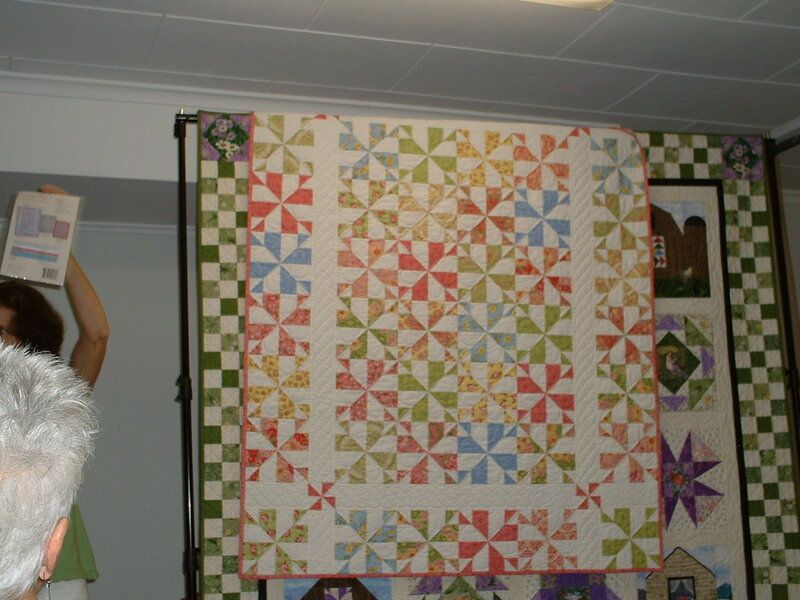 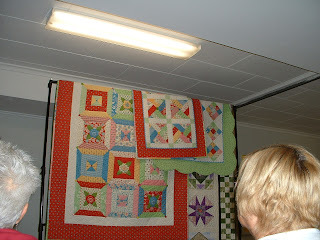 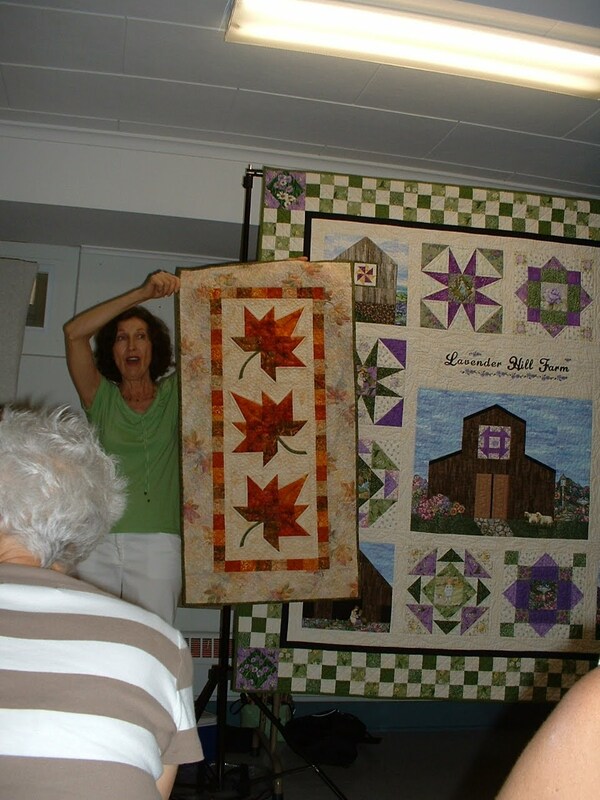 These are Pat's samples of the first quilt you make. 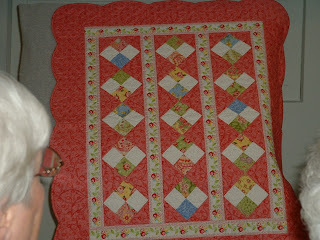 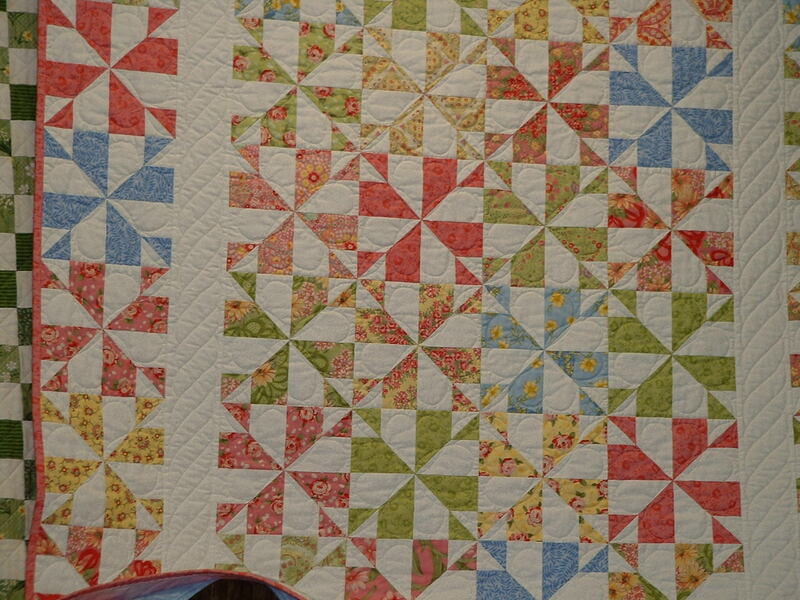 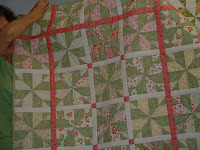 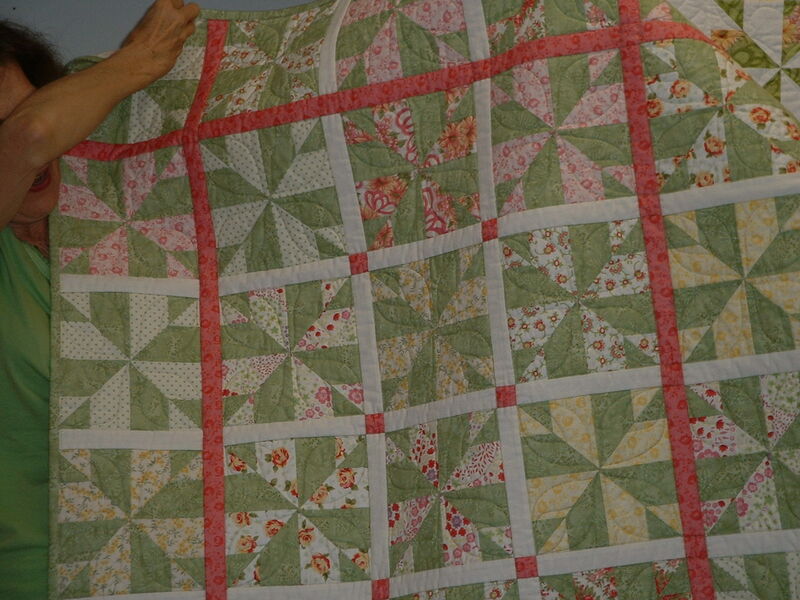 Then you make a 3rd smaller quilt with the rest of the scraps. Hopefully, I'll get to that one on Sunday. 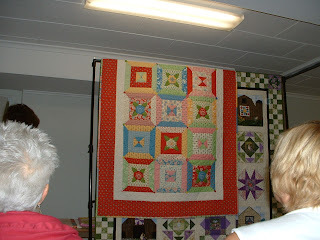 Aren't Pat's 3 pretty? 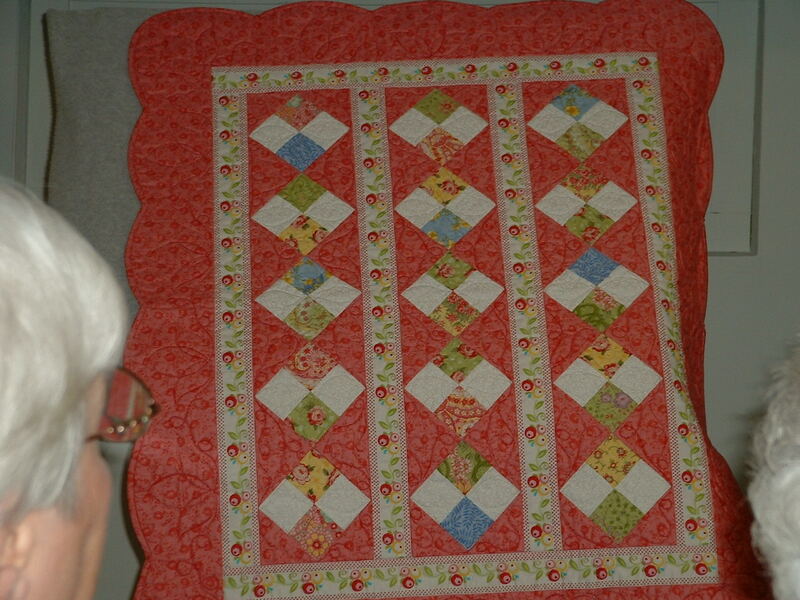 I used a Moda Simplicity Jelly Roll and so far it looks beautiful--very soft and romantic. 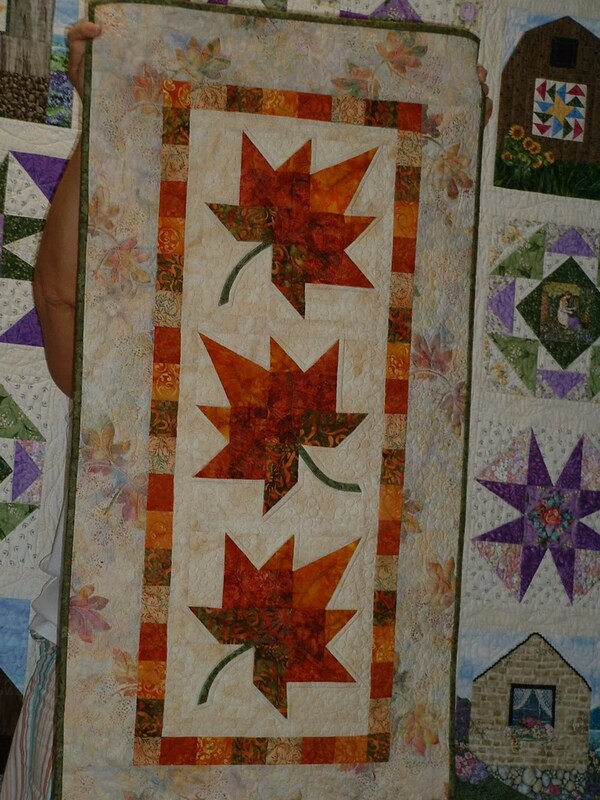 Not my usual style quilt at all, lol. 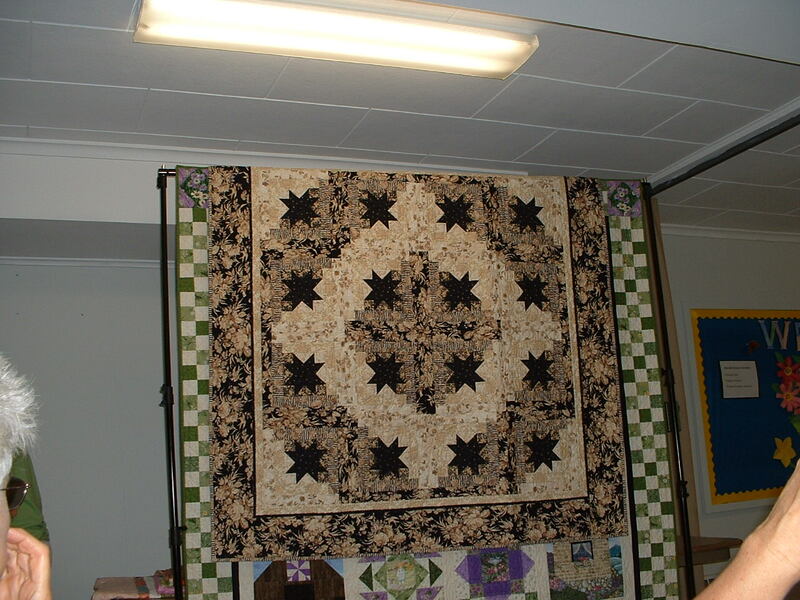 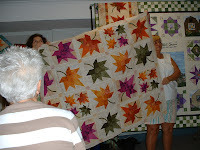 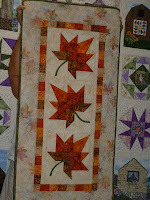 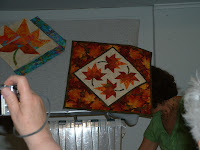 These are other new patterns that also make multiple quilts. 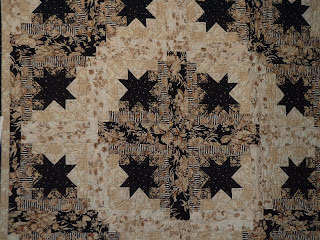 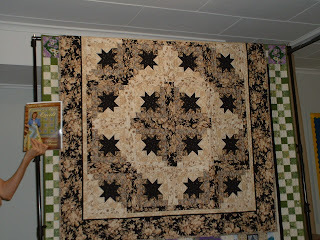 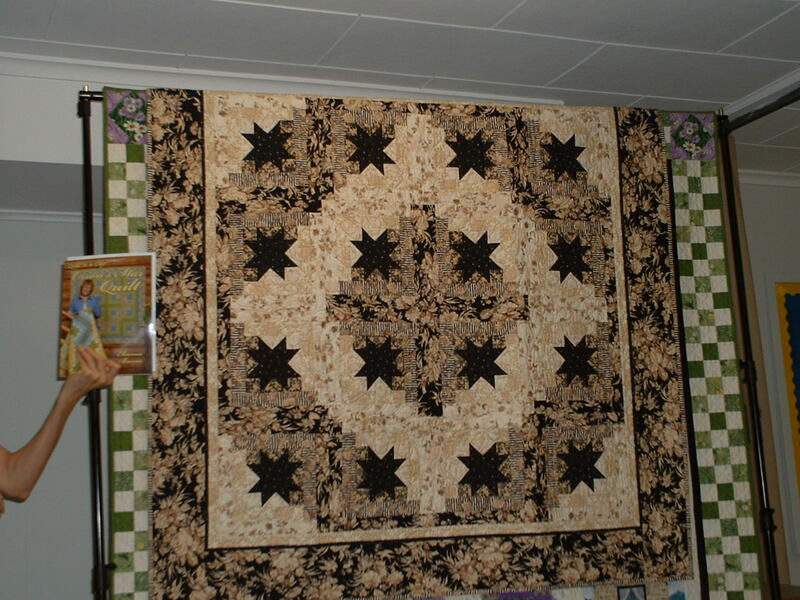 Next is Orion's Star in beautiful black, brown, tan, and cream fabrics. 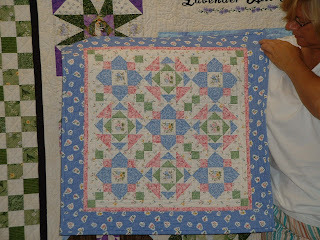 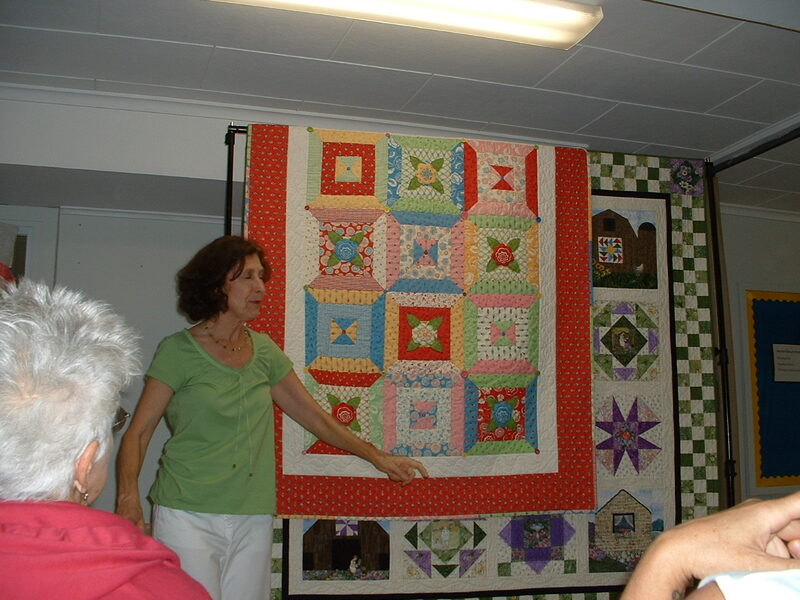 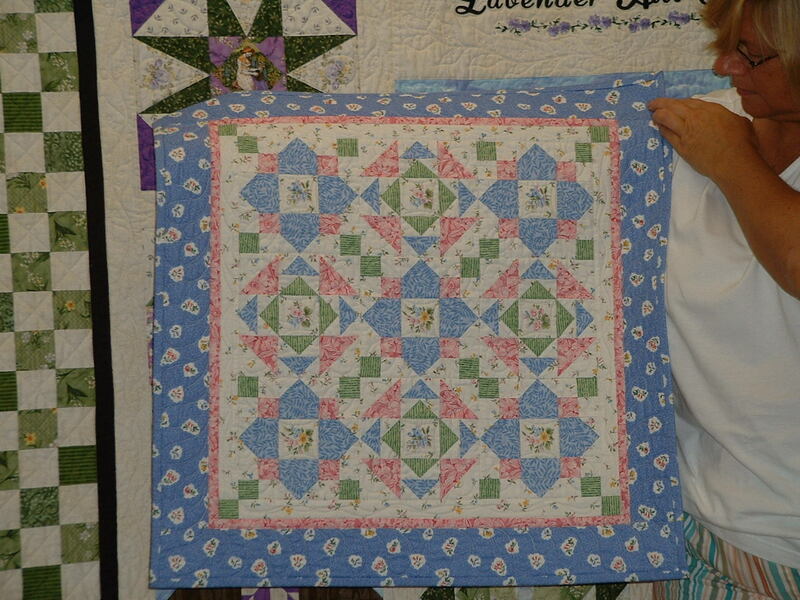 And these extra quilts you can make from the same fabrics and pattern book. 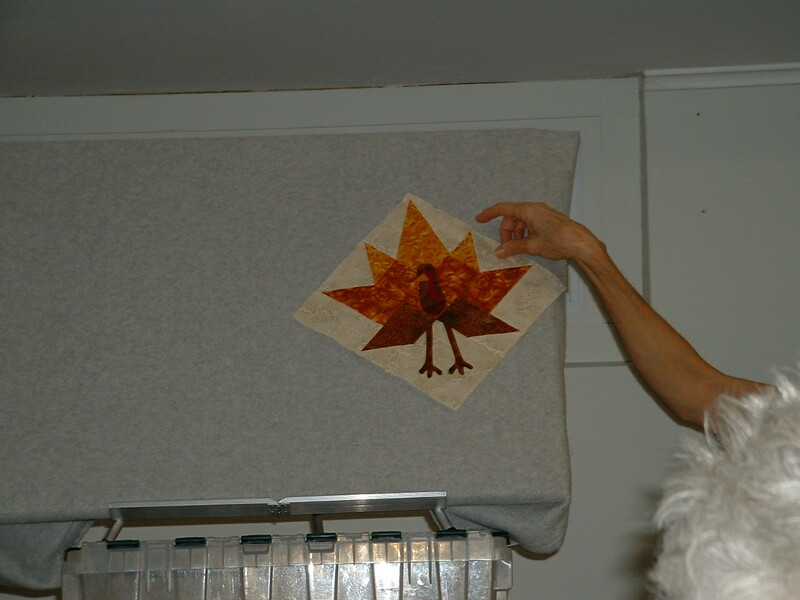 with an extra pattern to make it into a turkey for Thanksgiving!